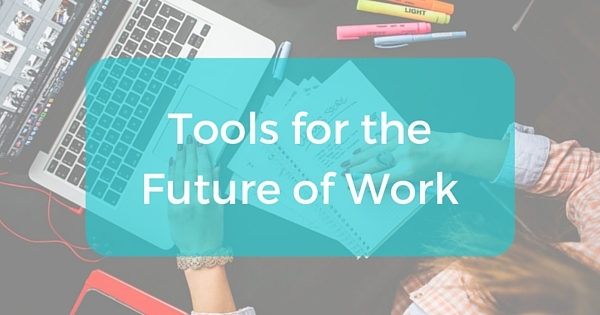 Tools for the Future of Work: What Is a Freelancer Management System? The way we work is fundamentally changing: from how we find jobs, to tracking work, and getting paid. For a growing number of people, every step is touched by technology. In a new series on the Payable blog, we’re going to deep dive into the different tools and players driving this change. There are a growing number of freelancers in the U.S. (30.2 million full- and part-time according to most recent estimates). But how do companies find, hire, and manage them? Cue in a new group of platforms that specialize in helping businesses (large and small) find and manage freelance talent. 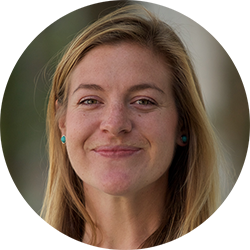 They’re kind of like web-based (or cloud-based) temporary staffing agencies, but for freelancers. Or, another comparison: a new type of vendor management system, or VMS in which everything is online. Andrew Karpie is a researcher who intensely studies the rise of freelance management systems. According to his definition published in SpendMatters, an FMS is, “a technology-based platform through which a given enterprise’s business users (hiring managers) can directly source, manage the engagement of and pay non-employee workers affiliated with the given enterprise.” Said another way, if you work at large company and need to find a freelancer (or contractor) for a particular project or task, you can use one of these platforms to easily find, manage, and pay them. What’s the difference between an FMS and a WIP? The boundaries start to get blurry, especially since a lot of FMS’ are WIPs but not all WIPs are FMS. Confused yet? What differentiates an FMS from a WIP is that they usually service large companies that need temporary, contingent, online workers. 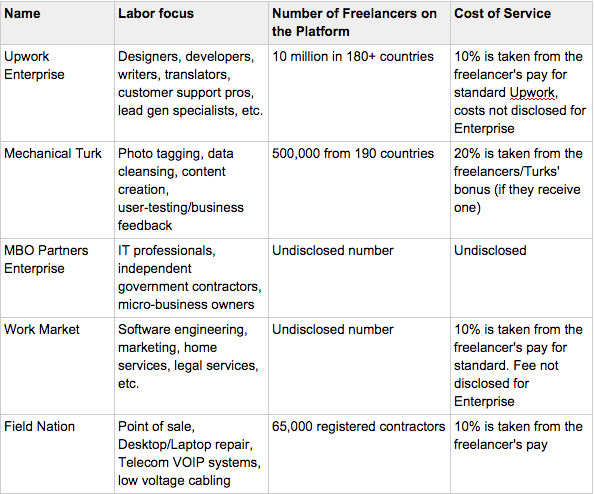 Whereas a WIP is more of a marketplace of freelancers, or online workers. Everyone can generally use WIPs but only large companies will typically utilize an FMS. For example, Upwork Enterprise is an FMS utilized by large companies like Unilever. Who are the major players in the FMS space? The leaders of more general, web-based work are Upwork (formerly Odesk and eLance), Amazon’s Mechanical Turk, MBO Partners, WorkMarket, Field Nation, and Beeline (formerly Onforce). What’s notable about these companies is that they focus on a full end-to-end service. That means each platform will help you find vetted freelancers, collaborate with them, approve work/invoices, and handle the payment. How do the major players compare? For companies wanting to reduce costs while providing support to their freelancers, Payable offers an alternative to traditional freelance management systems. Payable’s platform handles the onboarding, work-tracking, work approval, fast ACH payments and 1099 generation for freelancers. Payment isn’t deducted from a percentage the freelancer’s earnings. Try Payable for free today!